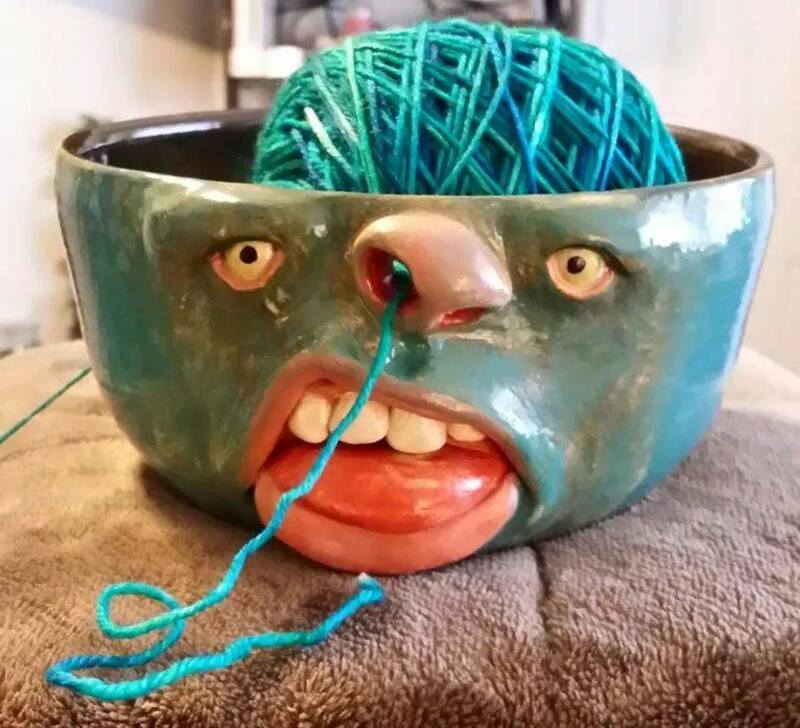 Wow Everyone Around You With This Yarn Bowl Transformer! 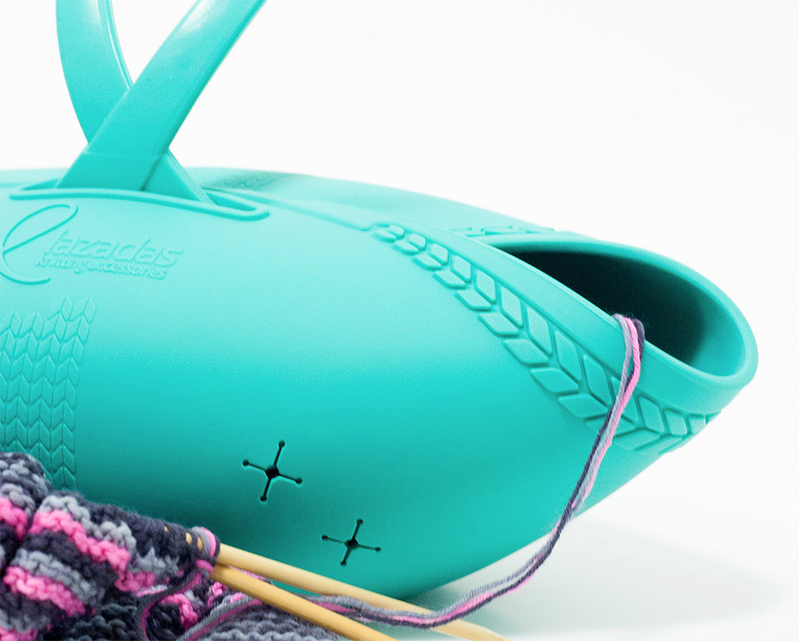 This convertible project caddy/yarn bowl is the latest knitting accessory by Lazadas -- and if you don't have time to read through this review, it's available here. 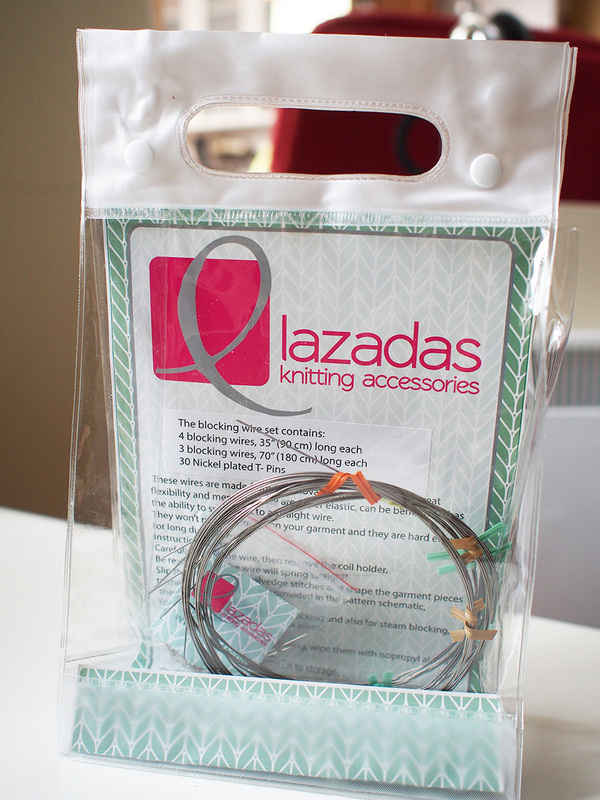 You may recognize the name "Lazadas" from my raving review of their flexible blocking wires. Three years later, I am still in love with those things. If this is any indication of the quality of the project bag, I'm in. But the inside is perfectly smooth, and will certainly never snag on anything. Using silicone is an interesting choice, because it has enough rigidity and weight to stay smartly in place when open (the bottom is shaped so it will sit flat on any surface). 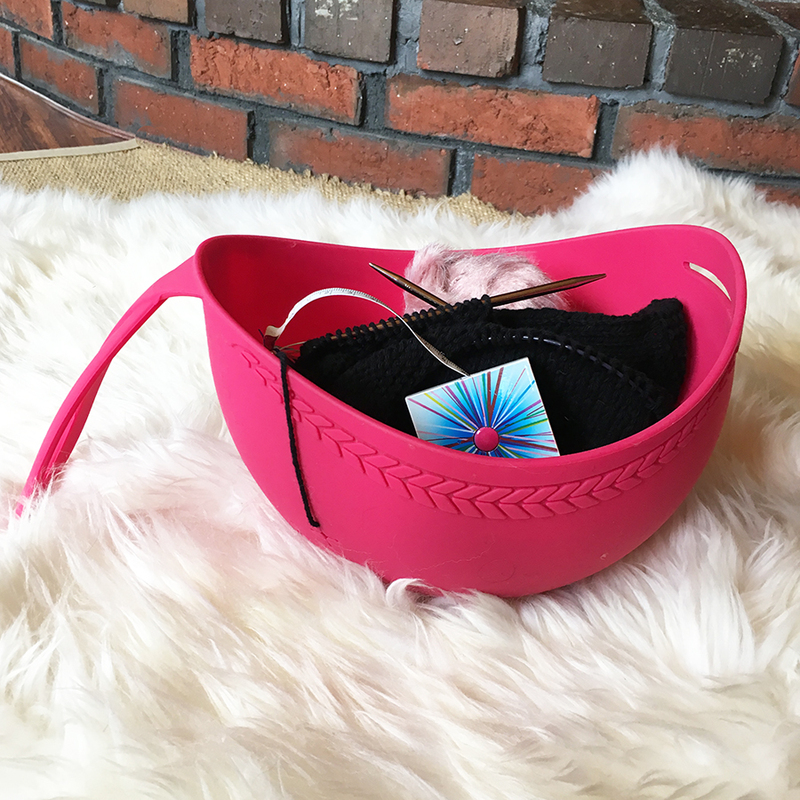 Conversely, it has enough flexibility to easily mold into a purse AND accept a lot of the odd shaped objects associated with crafting. 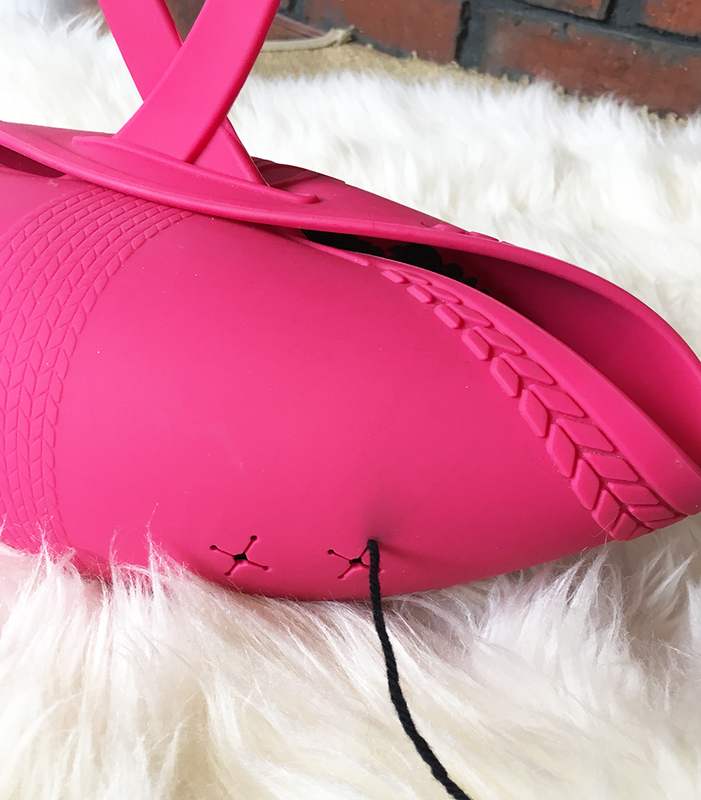 That could snag on things outside your purse, of course, so you decide! I prefer blunt needles because of the way I knit, so I personally don't have snagging problems when I store projects. 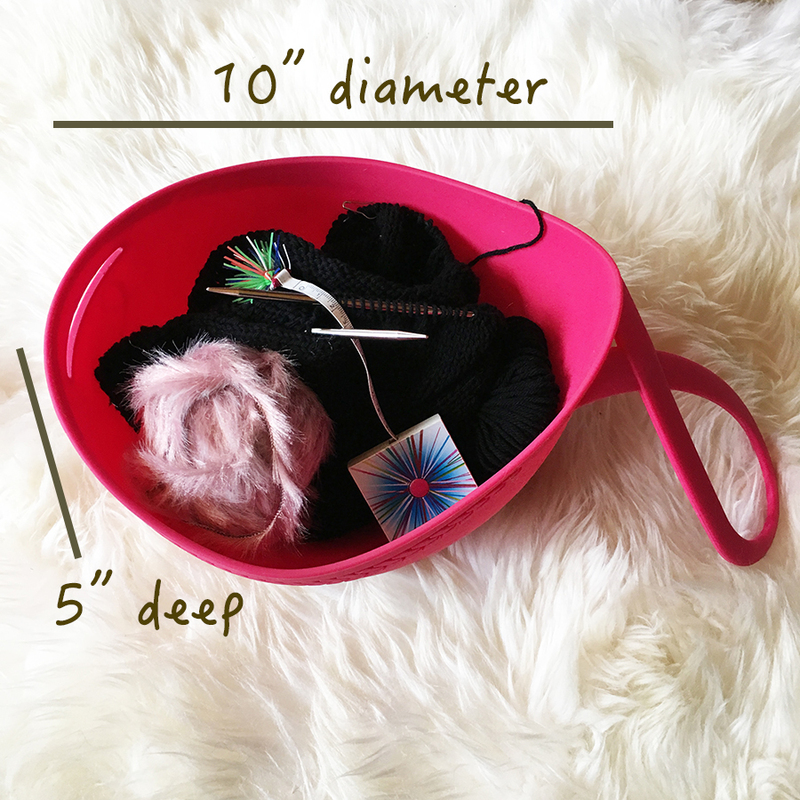 Note: the center hole does not actually hold my DK weight in the center while I knit, it does end up slipping into the smaller adjacent hole. Therefore, it requires a light effort to pull as you knit (i.e. it's not like pulling yarn smoothly through a ceramic yarn bowl). I'd guess that a chunky yarn would stay in the center, but it would still run against the hole as you pulled. 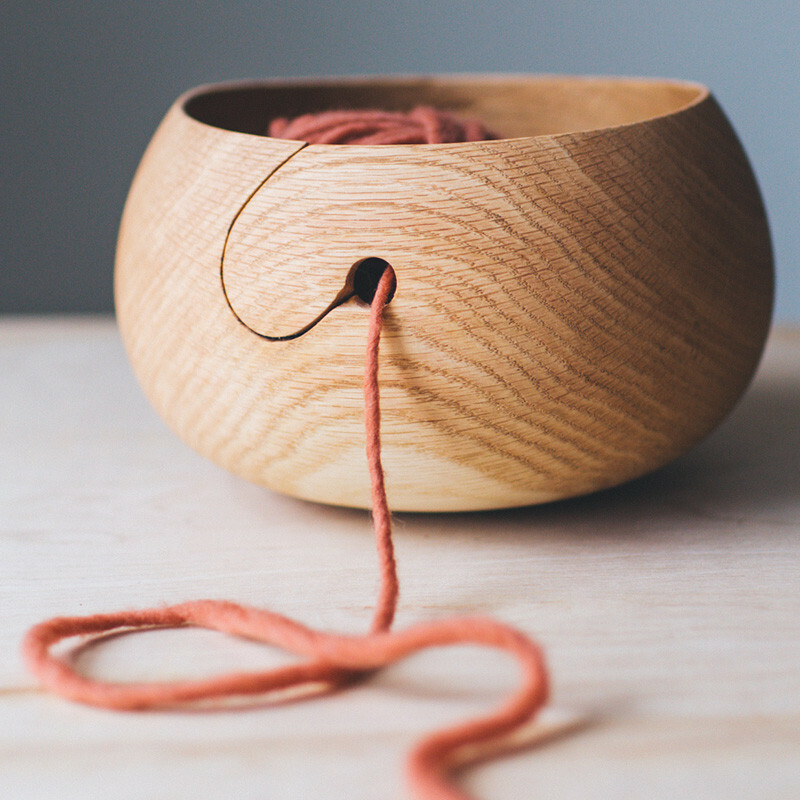 t & h yarn bowl from Quince and co. Yes, there are other colors! I also wanted to mention a couple of other things to be aware of about silicone. I found that knitting with a highly dyed yarn left some coloring around the holes. DON'T WORRY! Just wipe with water and it disappears immediately (so easy to clean!). Another heads up: like all silicone products (I see this on my potholders, coasters) -- when there is a static buzz around, such as on this bone dry February day in Maine, hairs and fuzz will stick to the silicone. Static guard spray or rubbing the silicone with static-free microfiber will help with that. 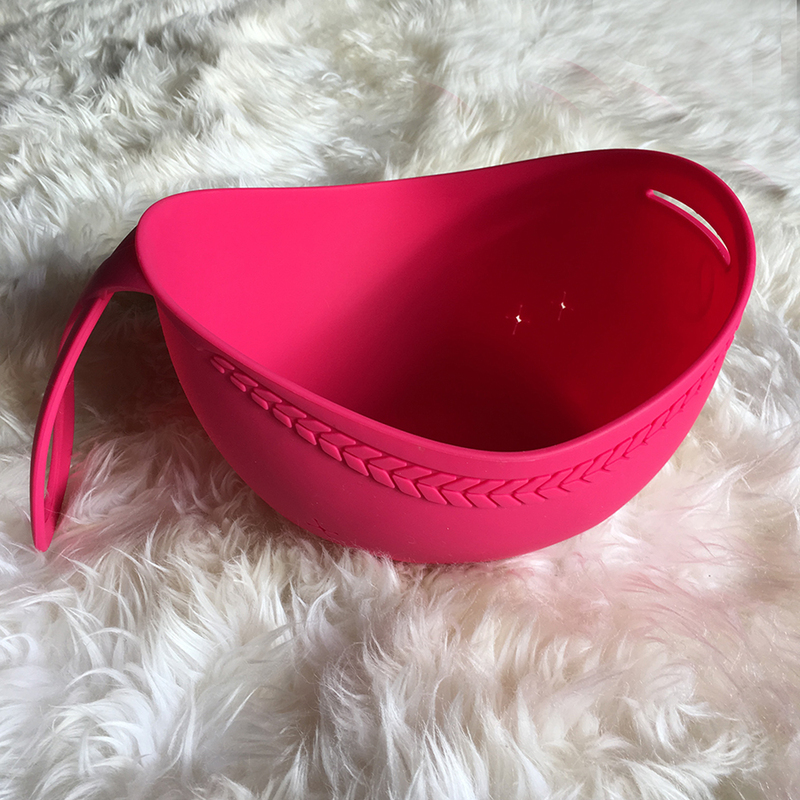 I was super lucky to have been given this yarn bowl to review from Lazadas, because it's exactly the kind of easy to clean, hard-wearing bag my click clacking knitting hands need. And it's actually my first yarn bowl, I've joined the club! Even though it was a freebie -- I really truly recommend it. It's a fabulous little piece, especially for those of you who like to collect one-of-a-kind project bags. THIS TRANSFORMER IS OFFICIALLY DAYANA KNITS APPROVED! I will look for these next week at Stitches West. Thanks for the review!